Would Incontinence Fixation Pants Benefit You? Wearing incontinence pads can be life-changing. They feel discreet and light at the same time as providing you with confidence. However, keeping them in place can be a difficulty that many people experience. Have you started wearing fixation pants to keep your pad in place? Post a new question on our forum and share your product recommendations. -Allow freedom of movement. Fixation pants are particularly ideal for individuals with an active lifestyle. They are designed with an elasticated waistband to ensure an accurate fit is provided no matter what is planned for the day ahead. -The pad is held tight to the body. Fixation pants provide you with reassurance that your pad will stay in place. You don’t have to worry about your pad becoming loose whilst wearing them. –Feel just like normal underwear. Fixation pants allow you to forget you aren’t wearing ordinary underwear, so you won’t experience drastic change or discomfort. -Feature odour control technology. The majority of fixation pants feature odour control technology to prevent any embarrassment and allow you to get on with your daily life. -Some fixation pads feature an insert space. In some products, a pocket is included for you to insert an incontinence pad, providing greater protection. This allows easy insertion of an absorbent pad and yet securely retains the absorbent pad in its position during normal wear. -Prevent skin irritation. Fixation pants have been dermatologically tested to ensure they will not cause any damage to the skin during use. -Feature side tears for easy removal. Side tears in the pants mean they fast and convenient to remove, perfect for those who have a busy lifestyle. -Does not bulge and is unobtrusive. Fixation pants are a perfect design for people who are worried about a product showing through or taking away their dignity. Are Fixation Pants Ideal for You? Fixation pants have been designed especially for users who are mobile, as they are slightly harder to put on than all in ones and pads. If you find your pad moves around a lot and creates problems, fixation pants are perfect in helping you get that extra bit of security. Often, carers provide all individuals wearing shaped pads with fixation pants to improve their quality of care. For those who require even more protection, many brands offer pants designed specifically to each gender. 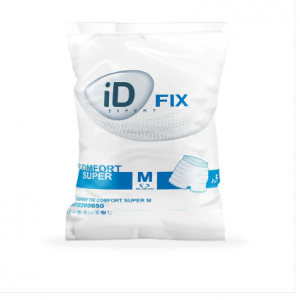 Designed from soft fibres for optimum comfort, iD Expert Fix provides a soft feel on the skin. The double elastic lycra and thigh seams provide outstanding protection. It is recommended that you wear these alongside the iD Expert Form Shaped Pads. You can buy iD Expert Fix Pants online here. You can also purchase iD Fix with Legs, which provide you with a greater sense of freedom and comfort. Attends are another popular brand that has a high-quality range of fixation pants. Designed from white elasticated plastic, the pants have short legs for improved fit. They are single seamed to ensure your pad is fitted as closely as possible. Attends Stretch Pants feature colour coded waistbands to make it a lot easier to identify sizes. The range of Attends Contours Regular Levels 6-10 should be worn with Attends Stretch Pants. Attends Stretch Pants are available on an online store here. Lille Ganmill Pants are comfortable lycra stretch pants designed to effectively hold incontinence pads securely in place. The combination of soft fibres and double elastic lycra ensure a comfortable and quality fit. Effective anti-leakage security is included in the pants, giving you the confidence and security that you will stay dry throughout the day. You can use Lille Ganmille Pants to hold Suprem Light, PE backed Classic Pads and Suprem Form shaped pads in place securely. 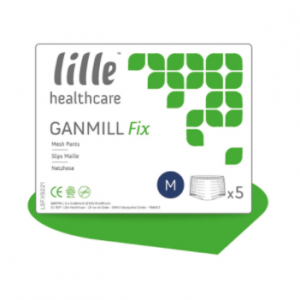 You can purchase Lille Ganmill Fix Pants online here. Size is important. It goes without saying that you need to consider your size when choosing incontinence products. However, with fixation pants in particular, size is crucial in determining how effective the pants will be. Do you have sensitive skin? Before buying a product, ensure you have no allergies to the material of the pants. Most pants are latex free, and you should find pants that are suitable for your skin. Do you prefer a gender-specific product? 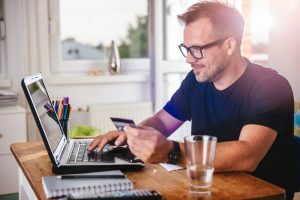 If you require a very close fit, having a gender-specific product can be helpful. Think about colour coding. You can find products with colour coding and information on the waistband so they are easy to find.